There are some great games see over the next month featuring England’s top stars. The Women’s Super League (WSL) resumes this weekend, and hopes to benefit from the enthusiasm engendered by England’s tournament successes in Canada. Mind you, sometimes you have to wonder if anyone at football’s governing body, the Football Association (FA), has two brain cells to rub together. Talk about shooting yourself in the foot. The tweet, from an account run by the FA, was ‘hastily deleted’ and a “Go and support the WSL” message emphasised instead. So here we go: let’s support the WSL. And there are some great games see over the next month featuring England’s top stars. England Captain, Steph Houghton, plays for Manchester City, as do ‘keeper Karen Bardsley, Jill Scott, Toni Duggan and Lucy Bronze. Their first game back is an at home against Birmingham City on 12 July, who boast Karen Carney, Jade Moore and Jo Potter in their squad. Chelsea are also at home on 12 July and have Eni Aluko, Katie Chapman, and Claire Rafferty on their books. They also have a star new signing in the “mini-Messi”, Fran Kirby, who this week moved from WS2 side Reading, to join the Londoners. Chelsea are playing Bristol Academy. Arsenal are the third team at home on 12 July. You can see goalkeeper Siobhan Chamberlain, defenders Alex Scott and Casey Stoney and strikers Jordan Nobbs and Lianne Sanderson. They are playing reigning WSL1 champions, Liverpool, who have penalty-taking hero Fara Williams in their side. You’ll have to wait until 22 July to see Notts County at home, although they play at Liverpool on 18 July. On 22 they are at home to Birmingham City and have the fantastic Laura Bassett, Alex Greenwood, Ellen White and keeper Carly Telford in their squad. Notts County v Birmingham City – 7.30pm, 22 July at Meadow Lane. And you can also show your support for women’s football at the SSE Women’s FA Cup Final. It is being held at Wembley Stadium for the first time ever and on 1 August at 3pm. Chelsea is playing Notts County. There are still tickets available, but if you can’t make it, the game will be broadcast live on BBC1. 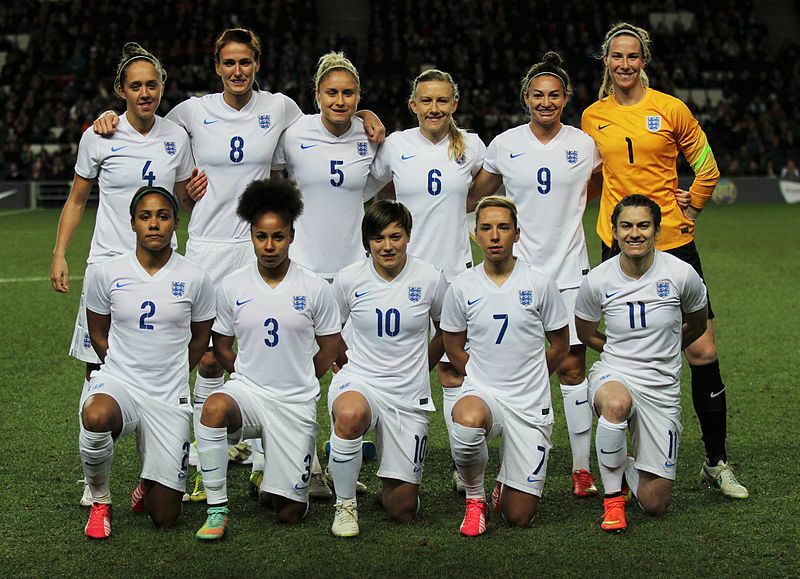 A brilliant time to watch women’s football, so why not give it a go?